The National League is hotting up - who will earn promotion to the Football League next season? With the International break rearing its ugly head this weekend, mainstream football in the UK will be taking a backseat but that's not to say there isn't plenty of action waiting for us to feast on, albeit in the form of sides from the country's lower leagues. League One and Two have a full fixture list, while sides from the National League - formerly known as the Conference Premier - also feature on Saturday, with some vital ties for some of the sides battling it out at the top of the division planned to go ahead - dependant on the great British weather of course. The pick of the games comes at Moor Lane, as Graham Alexander's Salford City host one of the league's most underperforming sides this season, Barnet. The Bees were relegated from the Football League at the end of last season and were expected to challenge for immediate promotion back to League Two this time out, but have so far fallen short of the huge demands expected in the unforgiving fifth tier. A win for Salford would see them leapfrog third-placed Wrexham, should the Welshmen fall to defeat away at Hartlepool in their game this Saturday; a loss however could see the Ammies fall further behind the top three, providing both Wrexham and second-placed Solihull Moors manage wins in their respective ties. Solihull travel to Halifax Town knowing that a win would see them go above current leaders Leyton Orient, who aren't in action this weekend due to their FA Trophy semi-final clash against AFC Telford. Whether you're clued up on the non-league game or don't have the foggiest idea who sits where in the National League, we've got you covered. Below, we've assessed who's in with a shot of winning the division next month and who are in with a chance of promotion via the play-offs. There are a couple of teams in with an outside chance of making the top seven before the campaign comes to an end in five weeks time, each of whom are also included. If you're a fan of any of the clubs mentioned here, be sure to get in touch with us on Twitter @FootyAccums and let us know how you think your side will get on! With the winners of the Vanarama National League the only team guaranteed promotion to League Two at the end of each season, the fifth tier is widely known to be the most difficult division to get out of. Many huge clubs have spent years languishing in non-league's top division having dropped out of the Football League, with sides like Wrexham currently experiencing their eleventh consecutive campaign in the National League following their relegation from League Two in 2008. Dagenham & Redbridge, Hartlepool United, Leyton Orient and Chesterfield are all currently competing in this gruelling division, showing just how many huge ex Football League clubs find themselves battling it out in England's non-league after experiencing hardship in the 'professional' game. This time out the top of the table is typically tight, with just six points separating current leaders Leyton Orient and fifth-placed AFC Fylde - the pair have both played 37 matches. Justin Edinburgh's Leyton Orient are solid favourites to win the league at odds of 4/7 as things stand, and betting against them would perhaps be a foolish move considering the form they're displaying right now. The O's have won their previous six matches in all competitions and are now just one game away from reaching the final of the FA Trophy in May. Undoubtedly the biggest team currently competing in the fifth tier, Orient have been the side to beat this time out, but have shown consistency throughout the most part of this season by beating sides like Gateshead, Solihull Moors, AFC Fylde and most recently title rivals Wrexham. Behind Orient sit the much less known Solihull Moors, who were promoted to the National League after winning the National League North in 2016. Formed just 12 years ago, Moors' average attendance this season is 1,154 - the fifth lowest in the whole division - so should they earn promotion this season it will be a huge achievement for the West Midlands outfit. They face Halifax Town on Saturday, looking to make it three successive league wins having beaten both Gateshead and Braintree Town in their previous two outings. 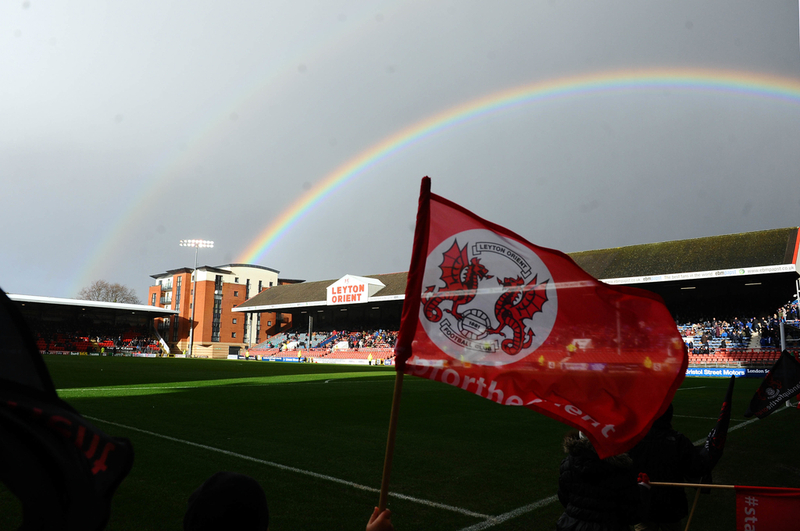 Wrexham are the National League's current longest-serving club, having competed in the fifth tier for eleven consecutive seasons. However, this could finally be the year they escape non-league and make it back into the Football League with a strong end to their campaign. Bryan Hughes' men sit third at the moment but have played one more game than Solihull Moors and two more than Leyton Orient, so cannot afford to slip up in their remaining seven matches to be in with a shot of the title. The Dragons face stiff opposition in their remaining fixtures however, with play-off chasing Sutton United and Harrogate Town both still left to play before the end of April. Though Salford City are still in with a realistic chance of winning the division, a top three finish has to be the main aim for the Manchester outfit as they look to avoid the uncertainties of the play-off quarter-finals. For those that are currently unsure of the re-structure which took place in Steps 5 and 6 (National League & National League North/South) last season, one extra play-off space was allocated to the leagues to give more clubs a chance of earning promotion. This means that alongside the league winner, from second place down to seventh place, each of those six clubs have the chance of being promoted. However, just to make things a little more confusing for you, a quarter-final play-off is now played out between teams finishing between fourth and seventh place, with the winner of each tie playing the teams who finished second and third in the play-off semi-finals. The teams that win the semi-final obviously progress through to the play-off final at Wembley to determine who clinches the second National League promotion spot - make sense? We wholeheartedly apologise if not. Back to Salford though, and after a dip in form saw the Ammies fail to win any of their league games throughout February, they're now firmly back to their best. Four wins and four clean sheets since the beginning of March have seen them move back to fourth in the table, just three points behind Wrexham with a game in hand over the Welsh club. 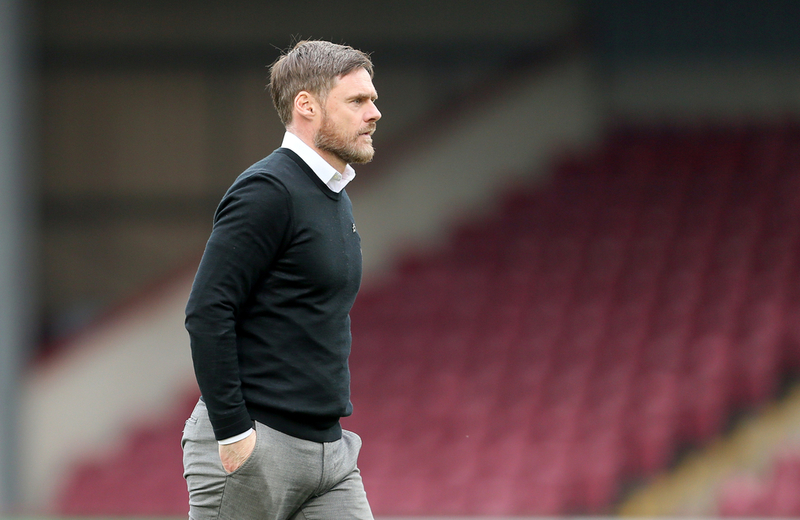 Graham Alexander's men have however played a game more than AFC Fylde, who currently sit one space below them in fifth, making this weekend's clash against Barnet pivotal in their quest for promotion. Graham Alexander's Salford City are in scintillating form. AFC Fylde find themselves in contention of making it two promotions in three seasons should they force their way out of the National League this term. With just two defeats in their previous 13 league matches, Dave Challinor's men have been ruthless in recent weeks and that's largely thanks to their prolific target man, Danny Rowe, who has netted 25 league goals so far. The Lancashire outfit are in FA Trophy action this weekend when they face Stockport County, which will mean they'll have as many as three games in hand over Salford come Saturday evening. Their biggest test comes next Tuesday when they travel to leaders Leyton Orient however, but should they upset the east Londoners then there's little preventing them from staking a real challenge for the title. Sixth place Harrogate Town were one of the most in form sides in the National League until falling to defeat against Barnet last night. The Yorkshire side had won four games on the bounce before a first half strike from Bees front man David Tarpey put an end to their impressive run. Town have still only conceded just two goals since mid-February though, so are an extremely strong defensive outfit; they will however face a tough test when they travel to in form Barrow on Saturday. The Cumbrians have won their last three games, with their previous two victory's coming against Wrexham and Eastleigh - two sides who both found themselves in a rich vein of form before being humbled by Ian Evatt's men. Ben Strevens' Eastleigh have flirted with the idea of promotion on several occasions in recent seasons, reaching the play-offs in 2015 before a humbling 5-1 defeat by Grimsby Town over two legs saw them remain put in the fifth tier. This time around they look reborn under the guidance of one of their former players and are now just eight games away from making the play-offs, should they continue with their impressive form. Before their narrow defeat to Barrow on Saturday, the Spitfires had taken 21 points from a possible 24 in the National League, including a resounding 2-0 win away at Salford towards the end of February. With an extremely tough run of fixtures approaching - which includes games against Fylde, Leyton Orient and Gateshead - Eastleigh will have to remain focussed if they're to cement a place in the play-offs this time around. Eighth placed Gateshead trail Eastleigh by two points heading into this weekend, but have played one more game than the southerners so have it all to do if they're to break into the top seven by the end of the campaign. Ben Clark's side aren't in action this weekend but face bottom side Braintree Town at the end of the month in a match they desperately need to win to remain in with a chance of promotion. With tough games against Fylde, Eastleigh and Harrogate Town all making up the Tynesiders fixture list it's going to be tough for them to break into the play-offs - at odds of 100/1, anyone fancy an outside punt? 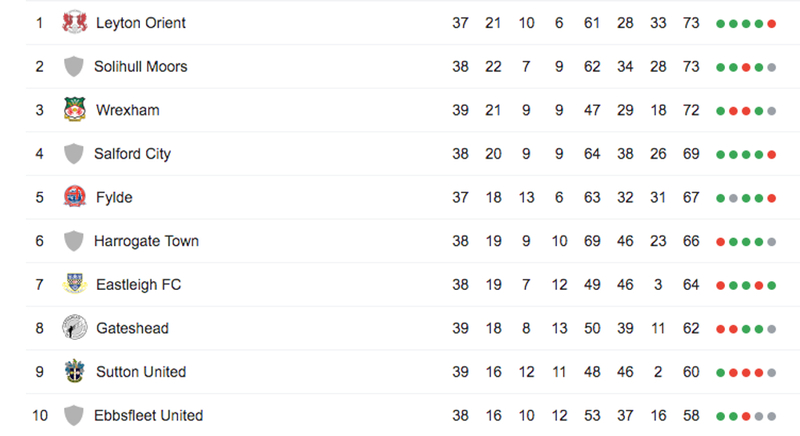 Sutton United sit four points outside of the play-offs as things stand, but could close that gap to a single point with a win over Chesterfield in this weekend's early kick-off away at 16th-placed Chesterfield. That would mean Paul Doswell's men would have played two more games than Eastleigh though, and one more than Gateshead so Sutton's chances of promotion are still slim, but as we've seen over the years, anything can happen in this fascinatingly unpredictable league. Their odds for promotion I hear you ask? Also 100/1. With a game in hand over both Sutton and Gateshead, 10th-place Ebbsfleet United are also in with an outside shout of making the top seven before the campaign comes to an end next month. The Kent outfit travel to rivals Maidstone on Saturday, and should they come away from The Gallagher Stadium with three points then they'll put themselves in a promising position heading into their final six league games. The Fleet go up against five sides who currently find themselves in the bottom half of the division from now until the end of the season however, so although they are rank outsiders for promotion, still have a fighting chance should they put in some stellar performances. The top 10 is tighter than ever at the minute.